Sound With the Satori speaker cables, "every element of the soundstage seemed to stand out more in bold relief," and " the edges of vocal and instrumental images were more defined in space" -- they "added life"; with the Matrix Reference, "the overall sound was warmer and richer," but also "frustrating." Features Single-crystal (Zero Crystal) conductors, Teflon air-tube insulation, and spades "made from the same single-crystal process"; "possibly the lowest capacitance level in the industry, even lower than flat cables, but with the shielding benefits and less-fragile nature of more traditional cable designs." Use Tim found that two pairs of the copper Matrix Reference interconnects were "too much of a good thing" in his system, but with one pair and his silver-plated DH Labs BL-1 II interconnects in the mix, "life was good again"; Acoustic Zen's Silver Matrix may also do the trick. Value "If a dealer recommends Acoustic Zen cables, you can be sure hes got your best interest in mind." Most people view the tires on their cars as something they have to buy to make the car work, but they try to spend as little time, energy, and money as possible to replace them. This usually means taking whatever the dealer recommends or just buying another set of what came on the car originally. Of course, this strategy will get you by, but the fact is that any car will handle significantly better if you put better tires on it -- tires are the only things that connect your car to the road. For those who have a car simply to get from point A to point B, the minimalist strategy probably works fine. But for those who care about the driving experience and the emotional and physical enjoyment it can provide, good tires are essential. I liken cables in audio systems to tires on cars. Up to a certain level, audio consumers view cables as a necessary but not particularly critical link in the performance of their systems, probably not in small part due to their understandable, if mistaken, assumption that "wire is pretty much wire." And, as with tires, I think the main reasons for this are that people either dont care or have never experienced the difference cables can make to their ultimate listening experience. I will side with John Q. Audio Consumer in one respect: my experience has been that relative to differences in electronics or speakers, the differences cables make in overall system performance are usually, but certainly not always, of a more subtle nature. This is not to say that cable choices are not critical even if the differences are subtle, because to an audiophile these subtleties can represent a huge step forward in a systems ability to reproduce music and hence increase the enjoyment factor immensely. So this review might be hogwash to Mr. Sears Roadhandler or Ms. Zip Cord, but thats OK. Everything is relative. Many of you probably know that Robert Lee, the chief designer and co-founder of Harmonic Technology, left that company to start Acoustic Zen. Lee still uses the acclaimed single-crystal wire that put Harmonic Technology on the map (Acoustic Zen calls it Zero Crystal), so you might ask, what has he done differently at Acoustic Zen? In speaking with Mr. Lee directly about that very subject, I learned that although the wire itself is the same, everything else is different. First, the Teflon air-tube insulation is new for the Acoustic Zen line both in its material and configuration. Also significant is the insulation within the wire itself, which now enables the positive and negative conductors to remain completely separate from one another. And if spade connectors are chosen, they are made from the same single-crystal process as the cable itself to preserve the benefits of that design from end to end -- a nice touch. So there are differences in materials, design, and geometry, which pretty much makes Acoustic Zen a very different cable despite sharing wire with Harmonic Technology. In fact, these also differentiate Acoustic Zen cables from every cable on the market. One of the tangible results of all this attention to detail and design is possibly the lowest capacitance level in the industry, even lower than flat cables, but with the shielding benefits and less-fragile nature of more traditional cable designs. The combination of lower capacitance and the single-crystal wire is purported to better preserve the phase and harmonic-structure information contained within the musical signal and reduce high-frequency roll-off. The benefits are said to be very detailed yet full sound with a larger and better-defined soundstage and an increased sense of both space and timing. If thats not enough for you, Robert Lee will custom build a set of cables to your specification if you tell him which equipment you have and what you are trying to achieve, and apparently this is done through careful fine-tuning of the conductor. Speaking of configurations and options, for this review I had an eight-foot pair of shotgun biwire Satori speaker cables, $1188 USD, with spade connectors that were nicely configured to fit a variety of binding posts -- no sticking forks through holes here. What I almost failed to notice upon hooking them up was that one of the shotgun pair on each side is a low-pass cable, and the other a more full-range design (this goes back to the fine-tuning I mentioned above). At this point I really had an inferiority complex in that this extravagant design was replacing my single run of vintage Monster Cable with bare wire ends. While obviously outdated and badly in need of replacement, the Monster Cable has, much to my frustration and bewilderment, managed to hold its own against newer competitors to the point where I felt a stronger desire to replace other components rather than the speaker cables. I also had two one-meter pairs of Matrix Reference interconnects, $498 each, that sport big, beefy lock-down RCA connectors that may prove challenging to those with limited real estate between jacks. The Matrix Reference is a mix of 96% copper and 4% silver and is the baby brother to Acoustic Zens top-line Silver Reference interconnect, which is conversely made up of wire that is 96% silver and 4% copper. I am currently using DH Labs excellent, but far less expensive, BL-1 Series II interconnects, which consist of a copper core with silver plating, so I was curious to see how these very different designs would compare. The Matrix References replaced the BL-1 IIs between my DAC and preamp and between the preamp and amp. I first plugged all the Acoustic Zen cables into my system for about a week or so to let them burn in, and I did my best not to listen during this period, although that never works. My plan after burn-in was to first try the Satoris alone to get a handle on what they brought to the party, and then try the interconnects alone to see what they could do versus the BL-1 IIs. Finally, I was going to use all the Acoustic Zen cables together to assess whether there was some family synergy happening. Of course, you know what they say, "If you want to make God laugh, make a plan." Off I went to give God a chuckle. So whats the Satori here? Generally I find audio components come in two flavors, chocolate and vanilla. By this I mean that most of the time I insert a component into my system, I either get a sense that it is doing something to the sound or it isnt. If it is, it can be a good thing or a bad thing -- bad if it goes too far. For example, some of the more classic tube gear Ive heard can impart a rich, luscious flavor to the midrange that Im not sure is real, but it works magic with early 80s CDs or other recordings that sound like the engineer had cotton in his ears. This is pure, dark chocolate. On the other hand, sometimes I put in a component that doesnt seem to do anything at all to the sound. It just seems to pass the signal on through without so much as a "How do you do?" Obviously this would be the vanilla camp, but, just as with chocolate, there are different kinds of vanilla. Sometimes vanilla can skew more toward the ice-crystally, watered-down supermarket-brand ice cream we got as kids, but sometimes its Ben & Jerrys Worlds Best Vanilla. With the former, you just know theres a lot missing, and its a very unfulfilling experience, but with the latter you begin to question the need for chocolate in the first place (well, maybe thats overstating things a bit). Amplifiers  McCormack DNA 0.5 Revision A.
Preamplifier  McCormack RLD-1, Rotel RSP980 preamp/processor. Interconnects  DH Labs Silver Sonic BL-1 Series II. 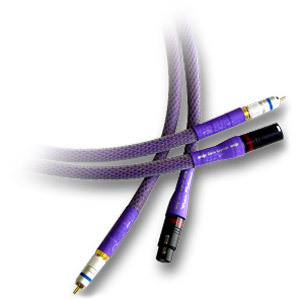 Speaker cables  Generic Monster Cable. As soon as I connected the Satori speaker cables, I knew I was looking at vanilla, but it took some time to assess what kind of vanilla we had here. After initial burn-in of a hundred hours or so, I did a quick switch between the Satoris and my classic Monster Cable. At first I didnt notice all that much difference, I think because in going from a single run of bargain-basement, naked-ended wire to a double run of tuned and heavily shielded garden hose, I was expecting an immediate and obvious impact on the level of changing speakers. Cables just arent that way, especially if were in the vanilla realm, because the differences, although real and significant, lie in the more subtle details of the music. But again, the subtle details can be precisely the difference between listening to music and becoming involved in the performance. So I pulled out some of my more cleanly recorded and detailed CDs that I knew would help me sort out and identify the subtleties. First up was Ginger Bakers solo effort, Coward of the County [Atlantic 83168-2], which is an interesting mix of aggressive and laid-back jazz pieces and is very well recorded. I dont know if it was the break-in time, the recording, or my level of critical listening (probably a combo of all three), but things were happening for which I was not prepared. While my initial notes pre break-in were filled with "maybes" and "somewhats," the differences I was hearing now were clear as day. On the opening track, "Cyril Davies," it was immediately obvious the bass was quicker, tighter, and better defined, and the cymbals, though not really any more detailed, were more natural and exhibited a sense of existing in space that was striking. Maybe the most telling transformation occurred with the trumpet, which took on a rounder and fuller presence, not only tonally but also spatially, so that it was as if I could picture the whole instrument. It was not unlike those newer whiz-bang commercials in which they freeze the picture of a person and then pan 360 degrees around. I felt like I could hear all around the instrument in a way Ive never experienced before. In general, every element of the soundstage seemed to stand out more in bold relief, which was probably a combination of the improved preservation of the harmonic structure of the music along with what I perceived was a quieter background. It would be easier for me to say it was improved dynamics, but it seemed like so much more than that. Given that the Monster Cable I use is unshielded, this did not come as a total surprise, but it was the combination of the low noise level with all the other things this cable was doing right that really caught my attention. I moved on to Diana Kralls Love Scenes [Impulse IMPD-233] to hear what the Satori speaker cables would bring to more relaxed music and female vocals. The first thing I noticed was that the edges of vocal and instrumental images were more defined in space, which allowed all sounds to come through more prominently. The piano lost some murkiness, and individual notes became more distinct. The bass line was better damped on "All or Nothing at All," and in general the Satoris let the bass flow better within the context of the music rather than overflowing on top of it, thereby obscuring detail and pace. I thought I had heard "Gentle Rain" enough to never want to put it on again, but with the Satoris in place, Kralls voice took on a new level of presence such that I ended up playing this track over and over with a stupid smile on my face (not unlike the one I get while putting a big dent in a pint of Ben & Jerrys). Background nuances and echoes were more evident, but there was really an overall balance and correctness happening that was making me want to listen more. Patricia Barbers Companion [Blue Note/Premonition 7243 5 22963 2 3] CD is one of my favorite live recordings, and on "Like JT," the Satori cables removed a level of haze that I hadnt noticed before and made the performance become even more alive. I dont know whether it was the preservation of phase or harmonic information or something else, but I again had the sense that I could hear all around the cymbals rather than just hearing the sound projected directly toward me. This extended in varying degrees to all aspects within the soundstage and brought my system one very significant step closer to reality. In sum, the Satori speaker cables added life to my system, and they made me want to listen to music more. I think you get the picture here. One Matrix Reference or two? After my extremely positive experience with the Satori speaker cables, I was eager to get the Matrix Reference interconnects in my system to see what they could do in synergy with the Satoris (gone was my notion of trying the Matrix Reference interconnects with the Monster Cable -- so much for the "plan"). It was immediately obvious these were very different from my DH Labs interconnects, and I wasnt sure right off the bat that this was going to be a good thing. Acoustic Zen's Silver Reference interconnects ($898 per one-meter pair single ended, $948 balanced) use 99.99999%-pure Zero Crystal silver conductors, while the Hologram speaker cables ($998 per eight-foot pair) use the same 99.9999%-pure Zero Crystal copper conductors as the Satori, but in an 8AWG configuration. Both are at the top of the Acoustic Zen line. I used the cables in my reference system, connecting Lamm ML2 amps and L2 Reference preamp to Wilson WATT/Puppy 6 or Sophia speakers and a WATCH Dog subwoofer, with various digital front-ends. I've had so many cables through my system that nothing seems to faze me anymore. I hear differences, some of which are musically significant, but nothing revolutionary. I'm not near the point of thinking cables don't matter, not even close, but I always find more to say about electronics or speakers. And this would hold true for the Acoustic Zen cables too, but for very different reasons. The performance of these cables is best summed up as complete. The Acoustic Zen Silver Reference and Hologram do everything with class, and not in any exaggerated, ostentatious way. Detail, texture, and body are all present and accounted for; highs are delicate, airy, extended to the stratosphere and wholly satisfying; and bass is meaty and powerful. The Silver Reference interconnects don't sound at all like silver cables can -- tipped up or grainy -- and they along with the Hologram speaker cables walk a fine line between audio extremes while delivering musical pleasure of the highest order. As I sat and listened, I found that latching on to some aspect of the Acoustic Zen sound was impossible without comparison to other cable lines -- the performance of these cables is that accomplished. There is the resolving power of Nordost Quattro-Fil and SPM Reference, the soundstage continuity of TARA Labs Air 1, the communicative nature of JPS Labs Superconductor2 and NC Series. I could live very easily with any of these cables, but Acoustic Zen Silver Reference and Hologram have enchanted and flummoxed me at the same time, which is perhaps the point. Who really wants to listen to cables? Only the audio sportsmen among us. Seek out these Acoustic Zen interconnects and speaker cables, even if you're not in the market, even if you can't afford them. They are the best lengths of wire I've had in my system so far. Going back to Ginger Baker, the overall sound was warmer and richer with less apparent detail and dynamic agility. Detail was still very good, but the transient attack from the brass and drums seemed a bit softer, and the see-through quality to the soundstage that Ive come to identify more with silver interconnects became slightly veiled. On the flip side, the soundstage expanded and became fuller, which made the BL-1 IIs seem rather thin and closed-in by comparison. Cymbals were portrayed in a less forward manner and seemed more naturally part of the music, and the trumpet was noticeably richer with a better balance of tone and air being expelled from the bell. Spatially the magic brought forth by the Satoris was still there, so there were some definite synergies happening. But moving on to Diana Kralls Love Scenes, "Gentle Rain" became a little more distant than it should be. Here the fullness of tone overwhelmed the expressiveness and emotion in Kralls voice, and I found myself craving a little of that silver to bring her back to life. This was frustrating because there were elements the Matrix Reference interconnects were providing that were clearly improving what I was hearing, but they were coming at a price I wasnt sure I was willing to pay in terms of upper-octave detail (or air) and transient snap. While speaking with Robert Lee to get some background material for the article, he volunteered (without any prompting from me or discussion about my observations) that many people prefer to use his Silver Reference for source applications and the Matrix Reference between the preamp and amp. Although I didnt have the Silver Reference on hand to do this, a light went on, and I couldnt wait to get off the phone to plug the BL-1 IIs back in between the DAC and preamp. And just like that, life was good again. Some people have an aversion to mixing cables in their systems, but I have no problem with it if the results sound better, and in this case to me they definitely did. It was a clear case of opposites attracting and complementing each other, and the BL-1 IIs positioned up front really allowed the Acoustic Zen interconnects to show their stuff. It was as if all that copper was too much of a good thing in my system, and that when fed a diet of silver, the Matrix References were able to pass the dynamics and detail of the silver through while preserving the natural tonal richness that the copper brought to the table. Diana Krall came back to life, and the dynamics returned to Ginger Bakers band. As a further acid test, I put on Steve Coleman and the Five Elements Def Trance Beat (Modalities of Rhythm) [Novus 63181-2], which has a tendency to sound a tad bright with the DH Labs interconnects, and was very pleasantly surprised. There is a good amount of reverb and spatial information in this recording if your system is revealing enough to catch it, and the Matrix Reference allowed it to come through while also portraying the cymbals in a more balanced and less-fatiguing way, yet with even better character and definition. On "Multiplicity of Approaches (The Afrikan Way of Knowing)," Gene Lake works his way around the drum set and strikes a woodblock to punctuate the end of a phrase, and the damn thing scared me! I had to backtrack about ten times to believe it, but the utter realism of that woodblock fleshed out and defined in space was astounding. Ive heard this recording tons of times on many systems and Ive never been affected like that before. Its the Matrix Reference at work, along with the Satoris of course. 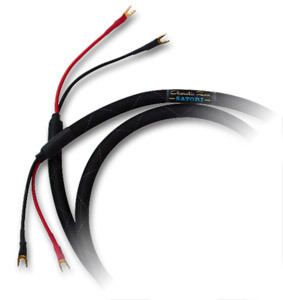 The only other speaker cable Ive had in my system that compared to the Satori is the Analysis Plus Oval 12. My system has evolved a bit since then, so this is not an apples-to-apples comparison, but my impression is that the Satori is more detailed and dynamic than the Oval 12, which to my ears had just a hint of softness to them. The Oval 9 is probably a more fair comparison to the Satori, and I think it is certainly worthy of an audition. As for interconnects, the DH Labs continue to acquit themselves quite well against pricier competition, but in this case they do fall a bit short in tonality and overall balance versus the Matrix Reference. However, I did prefer the air and dynamic bite of the BL-1 IIs, so there are definitely trade-offs here that I think have a lot to do with silvers slightly superior conductivity and oxide properties that copper cant seem to match. Id be lying if I said I wasnt constantly pondering what kind of sonic splendor a Silver Reference/Matrix Reference combo might weave -- maybe soon. You dont have to read too much into my experience with the Acoustic Zen Satori speaker cables to know where I stand. They do things I didnt know cables were capable of doing. Regarding the Matrix Reference, although two pairs proved not to be optimal in this instance, one pair was magic and more than welcome to stay in my system. Acoustic Zen cables convey more musical information than Ive ever heard, and they do it in a completely balanced and neutral way. I can think of no higher praise to heap on audio cables -- or any audio component for that matter -- and I highly recommend you try them. This is one case where if a dealer recommends Acoustic Zen cables, you can be sure hes got your best interest in mind. Prices: Matrix Reference: $498 USD per one-meter pair single ended, $548 balanced; Satori: $598 per eight-foot pair, $1188 per shotgun biwire pair.